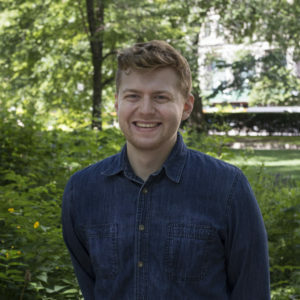 Jerome Sader joined the Housing Action team in July 2018 as a Stevenson Center Policy Fellow. During his year with Housing Action, Jerome will be researching state and federal housing policy, with a focus on issues such as eviction. He will also support our advocacy work through policy analysis and member outreach, aiming to help organizations understand local housing issues while also relying on their insights to help inform our priorities. Jerome is completing his Master of Science in Applied Economics through the Stevenson Center of Applied Community and Economic Development at Illinois State University. Prior to his work at Housing Action Illinois, Jerome served as an AmeriCorps member at City Year Chicago and Cradles to Crayons Chicago. Jerome earned his B.A. in Economics at Willamette University in Salem, Oregon. He was born and raised in Chicago and attended Lincoln Park High School.